It’s important to make the appropriate session choice for your camper. Some parents are criticized for sending their children away to camp. They are asked, “Why would you do that? Don’t you love them?” And sending them to camp for two weeks could just seem unbearable to other parents. “How can you be away from them for that long?” In reality, you are giving your child the tools they need to develop into positive young adults. They practice making their own decisions without your help. They take care of their own things. They make new friends. No one wants the first time a child leaves home to be when they move into their freshman dorm in college. At Catalina Island Camps, our two-week sessions are designed as building blocks of experiences for every camper. 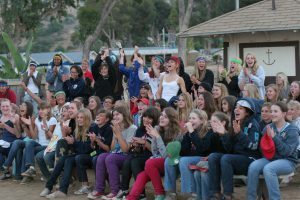 A mix of scheduled activities, camper choices, small groups and the whole camp community are the ingredients of a camper’s growth and development in a memorable camp experience. Campers are assigned to a cabin of campers their own grade or a combination of two grades. The cabin group is the living unit for every camper. It’s their home. There are up to 10 campers and at least two staff who live in each cabin. Each cabin has a cabin counselor and an activity instructor. Our youngest cabins may also have a Counselor in Training (an older high school student training to work with campers). The cabin is the foundation for social life in camp. 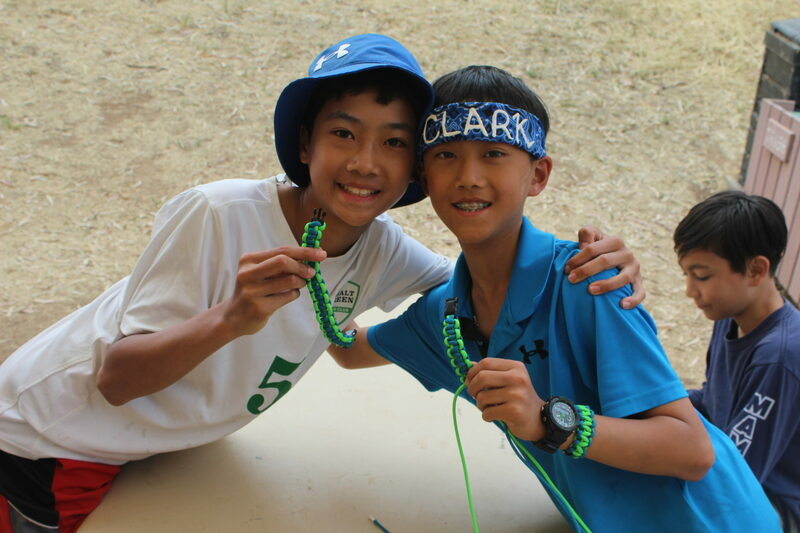 Our focus is on building relationships amongst campers in the cabin. Cabins eat together, participate in activities, perform together at campfires and lip syncs, and share the camp experience together. The adventure starts at the boat terminal, where campers meet each other and their cabin counselor. 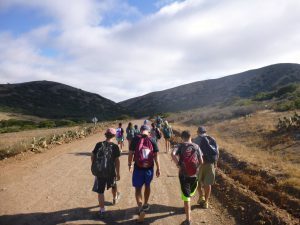 It continues on the boat to Catalina; upon arrival, they meet their other counselor (the activity specialist), who takes them on a tour of camp. Once the leadership team unloads the luggage, campers are called to find their bag, move into the cabin, and head to dinner. 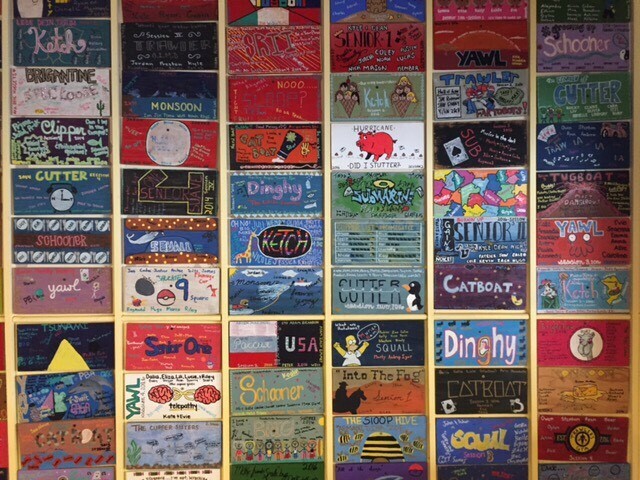 After dinner, each cabin plays more get-to-know-you games to build relationships, followed by the campers and staff creating cabin expectations for the session. It’s an exciting time as everyone is eager for what’s to come. No two Skin Dives are ever the same. The rich marine life at camp provides new discoveries every time. During the first half of the session, activities are scheduled by cabin group, so campers get to try each activity. At CIC, we practice Challenge by Choice. It’s ultimately a camper’s choice to participate in any of our activities. We set a minimum level of participation and the rest of the activity is up to the camper. We believe it is important to try activities whether you’re a veteran or first timer because each time they try, campers discover something new about themselves or the activity. If a camper chooses the minimum level, counselors will ask questions and encourage campers to try the next step, overcome their fear or hesitation, and find a measure of success. We celebrate accomplishments for each camper, not just those who excel. Counselors find the positive and are always encouraging. They never force a camper to participate. Throughout the first week, campers will make a series of choices about some activities. Most evenings after dinner we have Zones. Zones is a time where campers can participate in a variety of activities staffed by counselors. Gaga Ball (a dodgeball game that is very popular), Nine Square in the Air, various court sports, volleyball, tetherball, and soccer are all popular active activities. Some campers opt for time in the garden, on the beach, reading or playing cards, games or dungeons and dragons. Some spend the time chatting with other campers. Zones lasts about 45 minutes to an hour before evening program starts at 7:45 pm. On Thursday morning, campers can select from 3-6 different Adventures. After breakfast, they meet up with their activity group for the morning’s Adventure. Options include a Howlands Peak hike, an Emerald Bay beach trip, a combination kayak and snorkel trip to a nearby cove, a longer, destination kayak trip, Stand Up Paddling, Power Boat Activities and free beach time and a moderate hike like The Grotto or Fern Gully. Campers have already started to meet campers in other cabins at meals and zones, and on Thursday morning adventures friendships grow. Campers also choose a one-night overnight for the start of the second week. Second through fifth-grade campers stay in camp for their own special adventure. 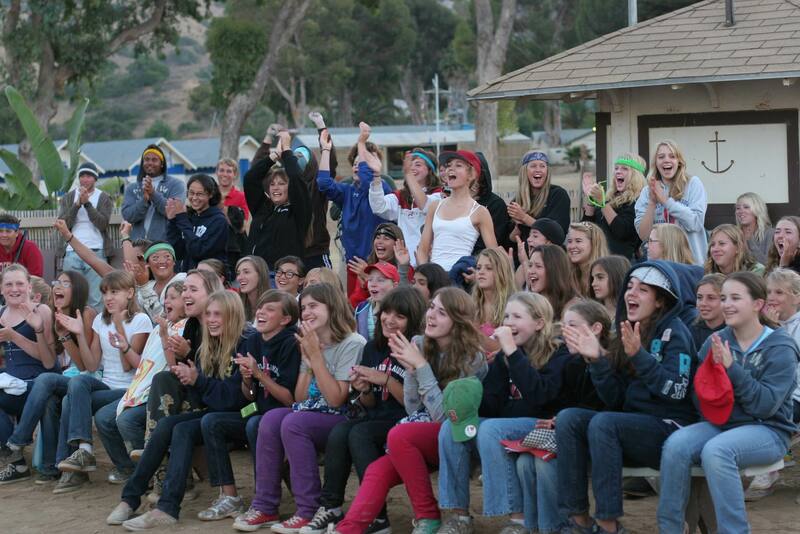 The rest of camp chooses between Little Harbor, Eagles, Parsons Landing, and Blackjack. Each overnight involves some hiking, some time at a beach away from camp, and sleeping under the stars. Some campers will do the same overnight every year and others will try a new overnight every year. So much about overnights is new for campers that it is a highlight of the session. New for 2018 is a camper choice evening program. One evening program will have multiple options for campers. They can choose whatever fits their mood, energy level, and interest. 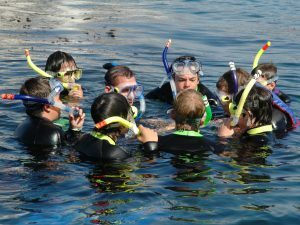 Another choice campers make is their second-week activities. Badgework is our program that allows campers to choose based on their interests. 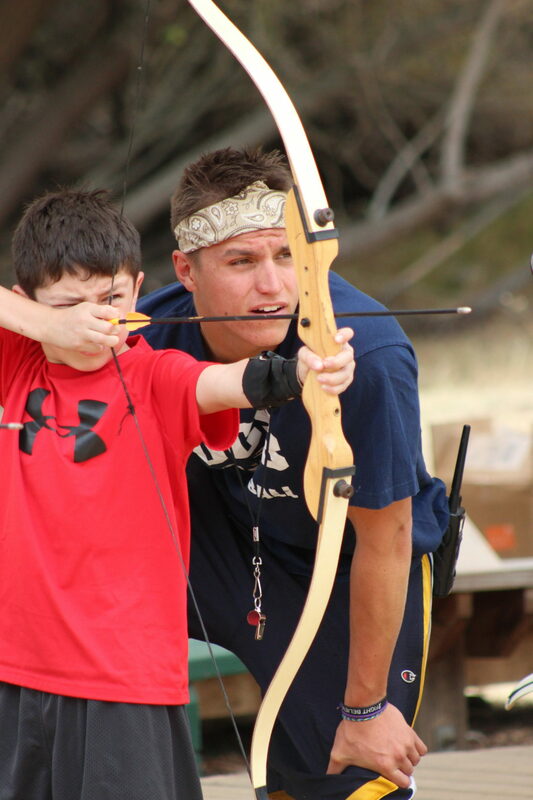 Each camp activity has four skill levels that campers can progress through over multiple summers. Campers submit their top preferences for our schedule makers and on Wednesday morning everyone gets a schedule and one chance to make changes before activities start that afternoon. The great thing about overnights, adventures, camper choice evening program and badgework is that initially campers come to camp and establish a home base with their cabin. They have friends their own age. They share all the close relationships of camp through the entire camp session. As we go through the session, they expand out to the rest of the camp community, getting to know campers older and younger, boys and girls. CIC is small enough that the entire camp community is within your grasp. 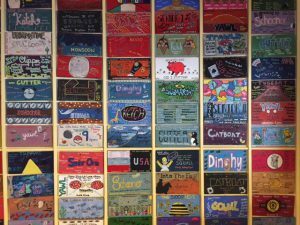 Some campers might learn 160 new camper names in two weeks. The community is an important part of CIC and gives a big family feeling. The end of each two-week session has several powerful moments for campers. The Session Slide Show is filled with pictures of campers that remind us of all that has happened in such a short time. Closing Campfire is filled with skits, songs, and performances that capture the personality of our community. The final morning of camp we have the plaque ceremony, where counselors present their hand-crafted plaque to the campers. Each plaque is filled with the special moments the cabin had together through the session. Plaques are later hung in the dining area on about a three-year rotation. Campers enjoy seeing palques of their past summers. One-week sessions are an introduction to camp. Those seven days pass in the blink of an eye. A two-week session gives campers more time to settle into the routines of camp. It gives the relationships they form time to develop real closeness. Counselors have opportunities to be the near-peer positive influence on campers that lasts well into their return home. A two-week session isn’t just twice as long as a one-week session, it is exponential in its benefit to a camper’s growth and development.